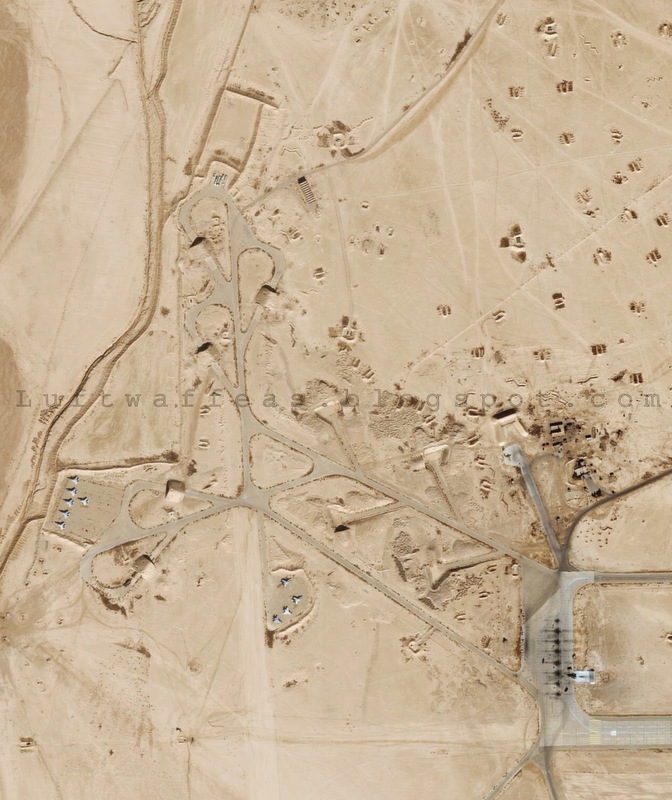 'Apple Maps' did it again and is the first among others alike to reveal new aerial imagery of the Syrian secretive T4 AFB which is for sure taken recently (let's say 2 years old maximum). 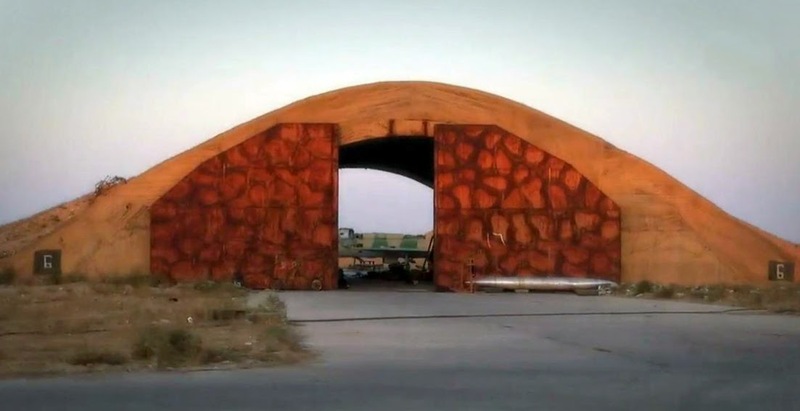 View 1: The north eastern HAS's those used to shelter the mighty MiG-25's before the mass phasing-out of this interceptor. 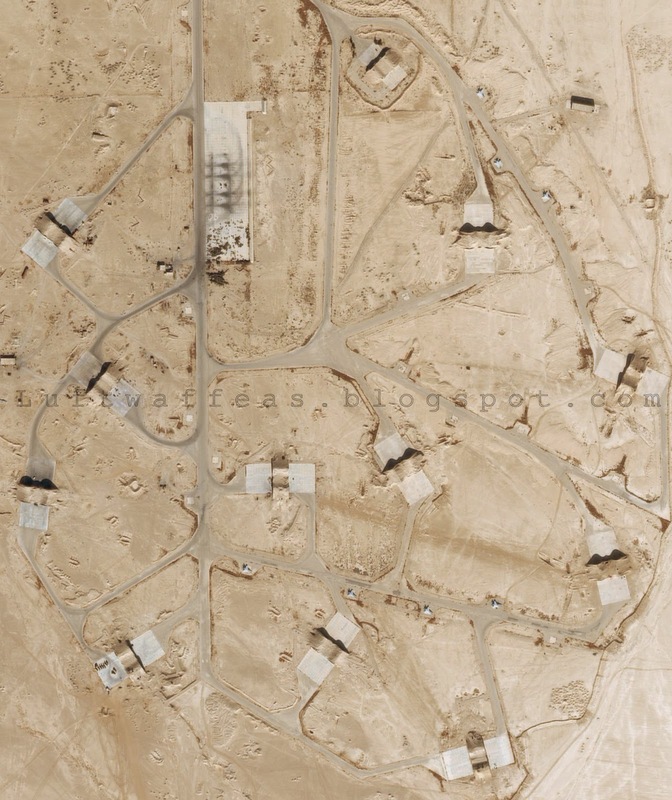 Nothing changed in this sector comparing to the last AERIAL IMAGERY Apple Maps revealed on Sep. 2012 except one MiG-25 towed into an exposed aircraft pin at the furthest north of these HAS's. 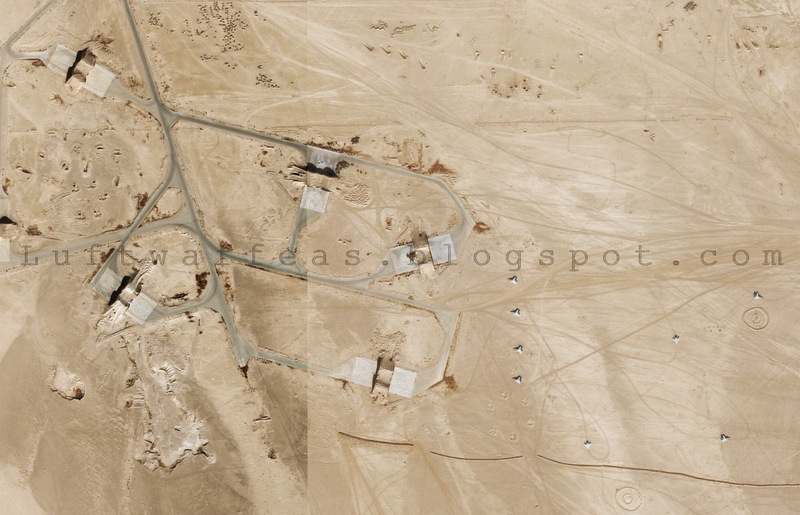 View 2: Nothing changed here as well, ten phased-out/stored MiG-25's and the Su-22M stayed in its place over the engine test pad. 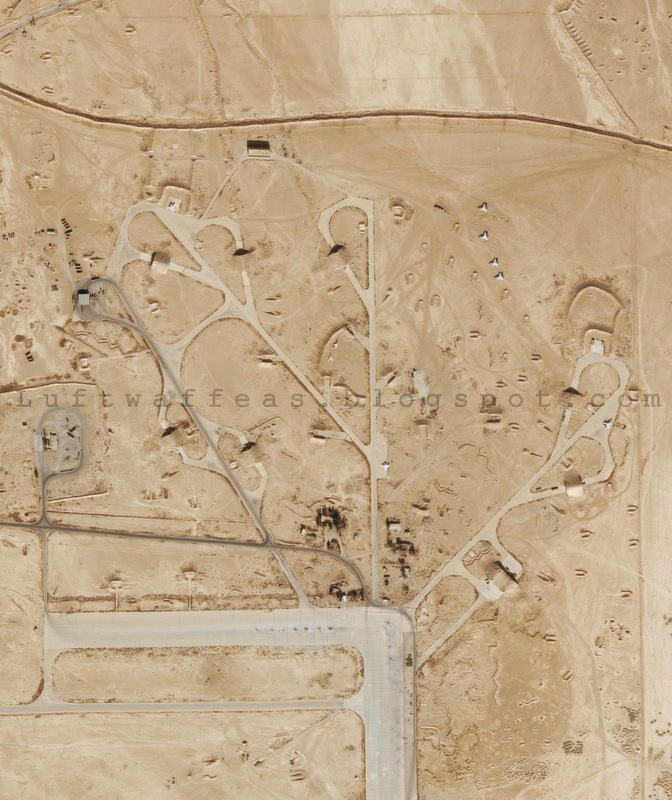 View 3: Here we can see four MiG-25's newly towed out and set randomly on sand, raising the number of the officially seen phased-out / in storage Syrian Foxbats to 32 units. 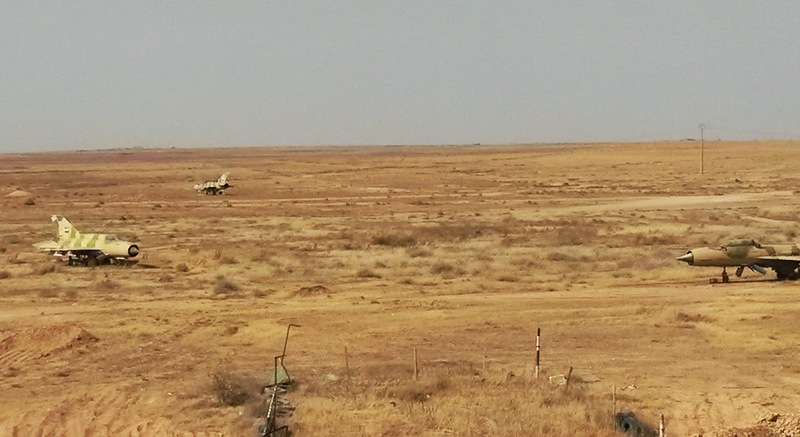 View 4: Among these seven MiG-25's seen here, one is newly shifted to an exposed aircraft pin. 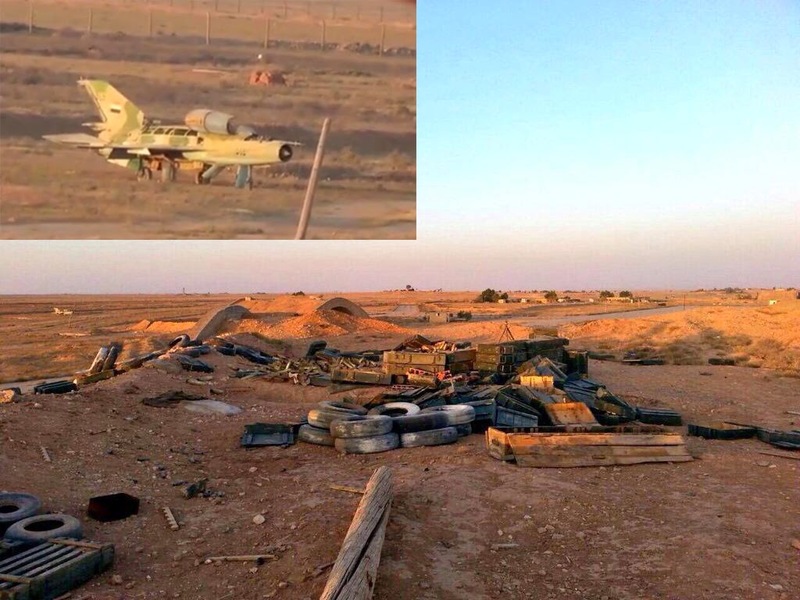 View 5: Note the enormous volume of armament green wooden crates at the Su-24M2 eastern tarmac!! 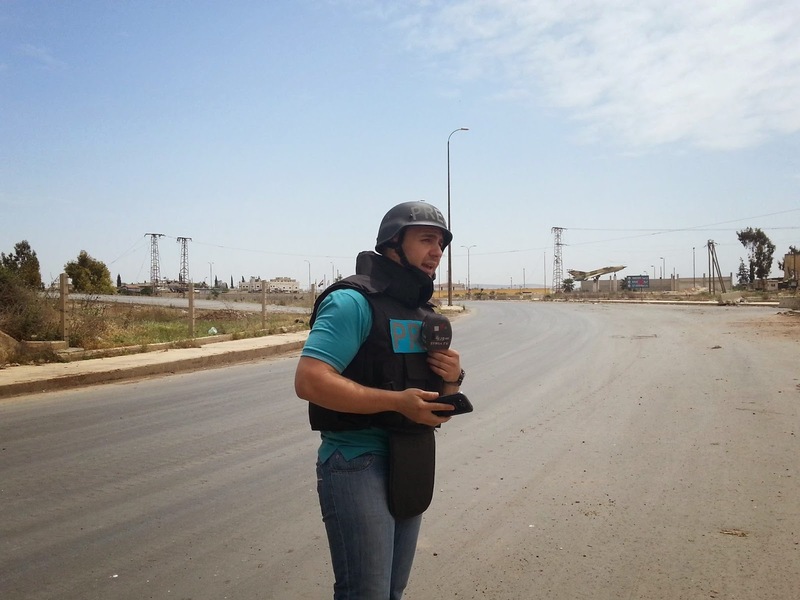 The updated and most comprehensive post about Tabqa AFB is ready now to be shared with our audiences! 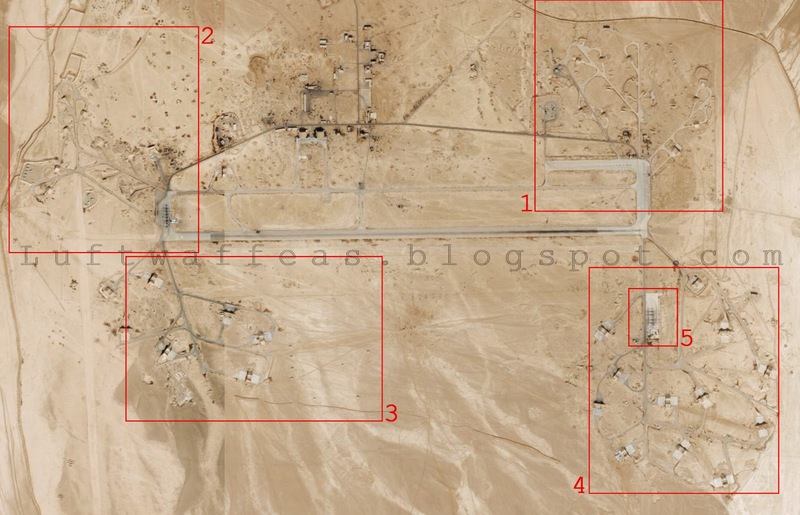 Before you start scrolling down, it would be highly recommended to download the KEYMAP of this airbase in order to understand the location of the seen airframes in the footages of videos and photos appeared so far. I would specially thank our friend Peter Weinert for his to-bone contribution to realize the final KEYMAP which enabled us relatively locate each seen aircraft as precise as possible, in addition to providing me some valuable photos for serials never seen before! Thanks again Pit, thanks Tom Cooper as well! 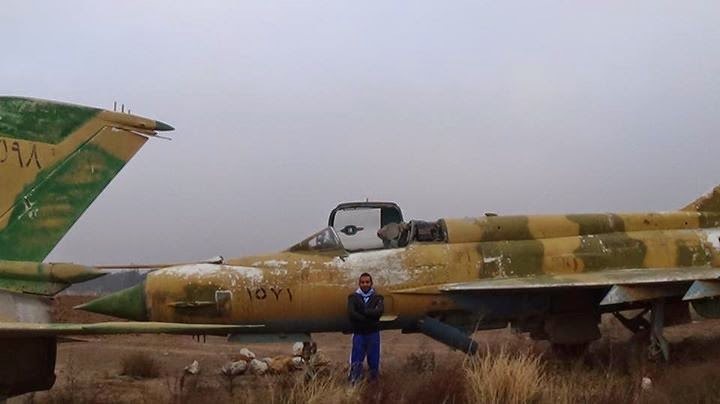 That in addition to one MiG-15UTI and few scrapped MiG-21's in the bone yard to the east part of the airfield. 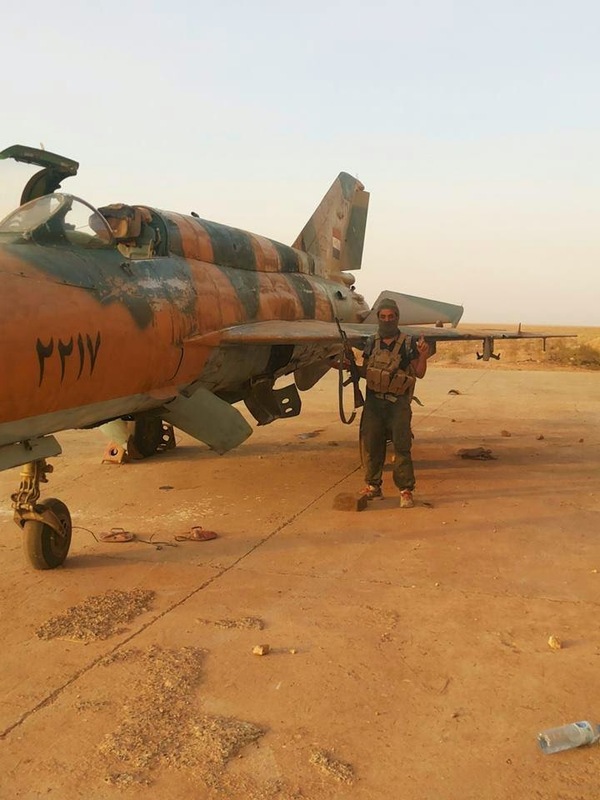 A new photo for the 2360 MiG-21UM. 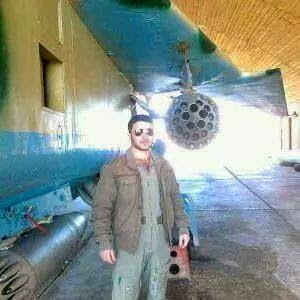 Good shot for the 2357 MiG-21UM. 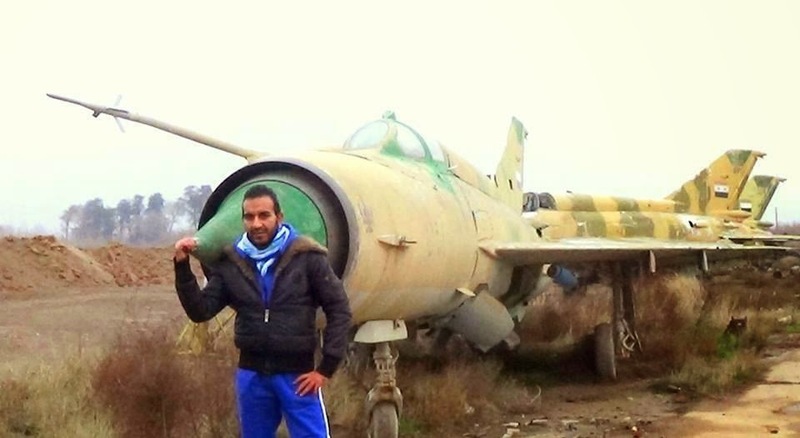 The same 2357 MiG-21UM here as well. 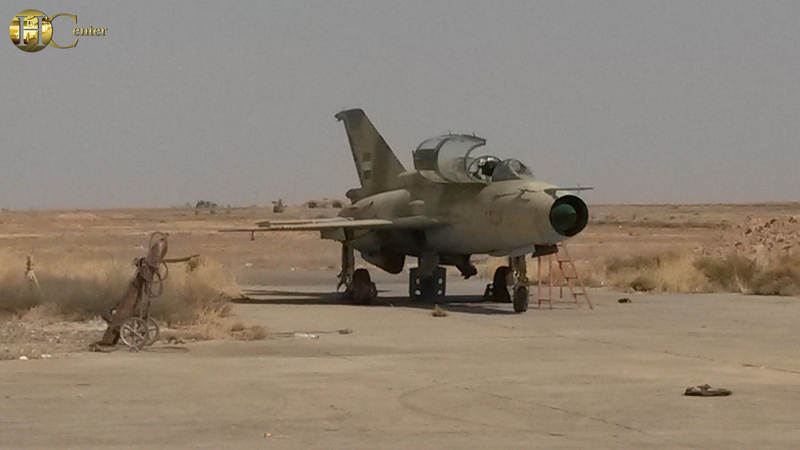 This shot is taken over the furthest western double HAS in this airbase showing the 571 serialed MiG-21UM. Closer shot at this trainer. 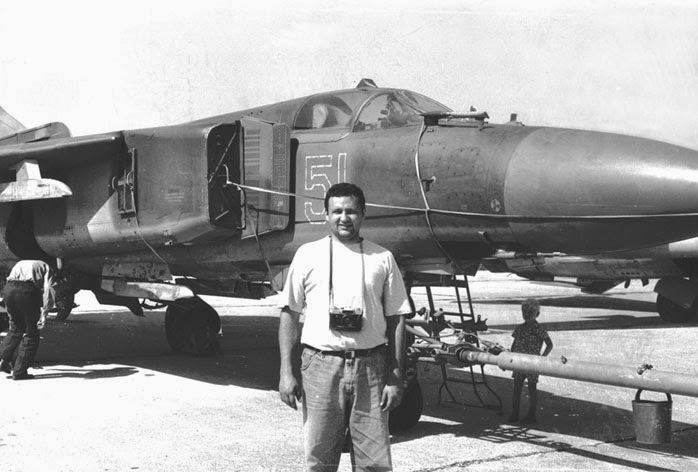 The camera man is standing over the same HAS but looking this time north east to reveal the only photo for the 545 MiG-21UM. 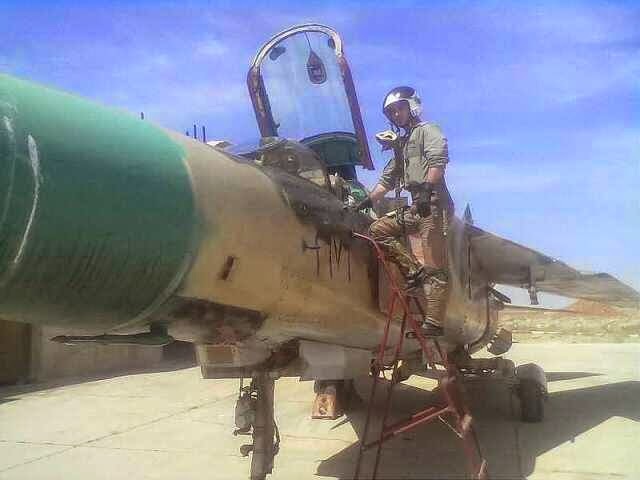 At the bottom of this double HAS, a scrapped rear fuselage of a MiG-21 carrying the serial which hardly may read 1915. A great shot shows the profile of the 1568 MiG-21MF. 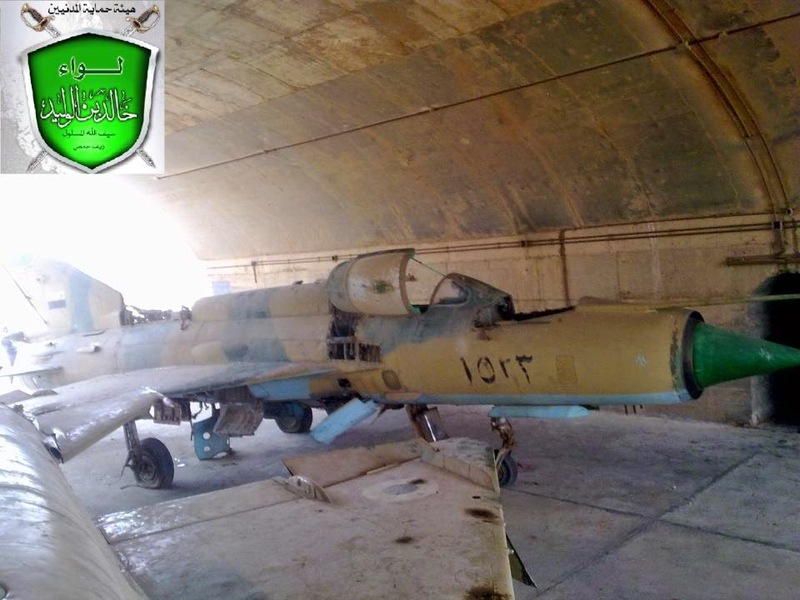 The only MiG-21bis left in this AFB with serial 2217. 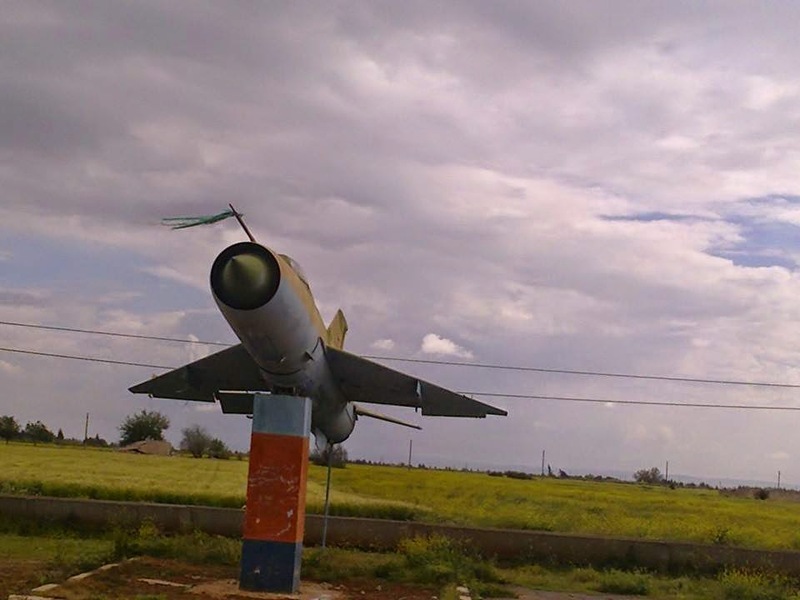 MiG-21 can be seen through the HAS #6 at the eastern side of the base. 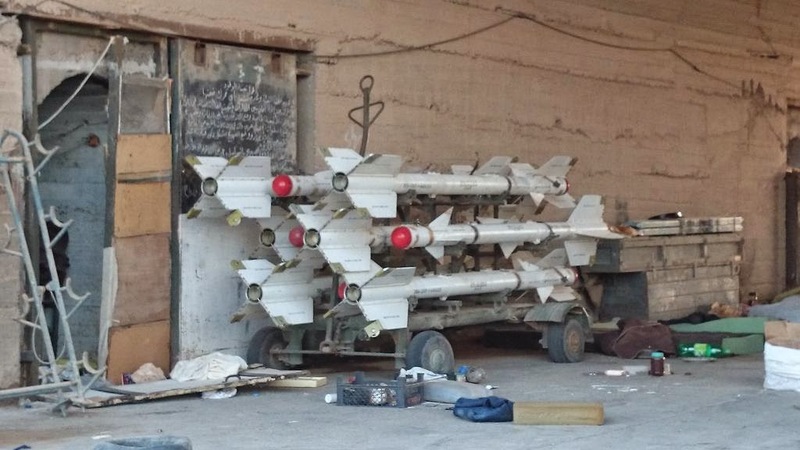 R-3 Air-to-Air missiles left inside a HAS as well. 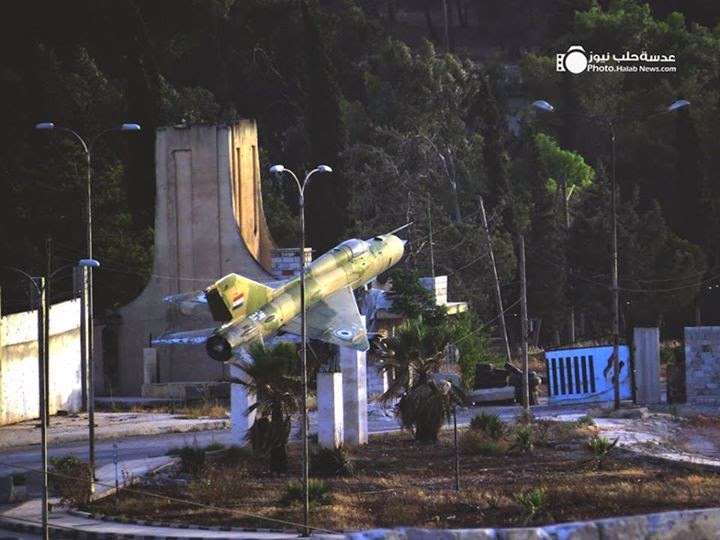 Again thanks to our Syrian singer Mr. Kaz'our and special thanks to our 'Anonymous' friend for providing this photo shows wider view of the SyAAF MiG-23 which still confirms itself as an MLD variant. The 'Vortex Generator' is truly not that easy to distinguish here in this shot as it goes perpendicular on the beam of the camera target point, anyway, I line it here above in red to understand its edges. The serial looks to me x400, but I would respect erased24 (from ACIG) point of view it may read 4000. 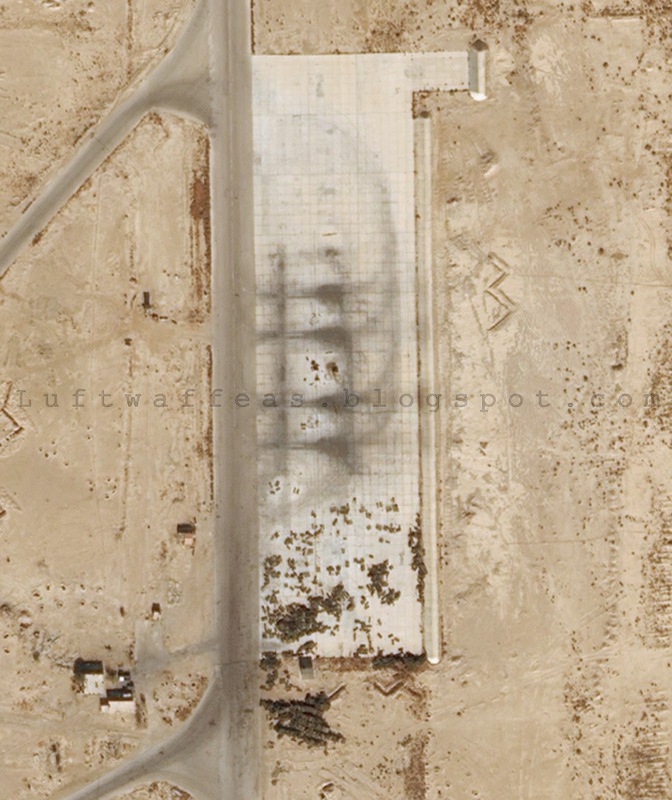 I studied the location as well and came to a conclusion that this MLD is no doubt deployed at Sh'eirat AFB at the eastern tarmac as stipulated below. The visible landmarks in the newly revealed photo showing the suspected location of the MiG-23MLD (Green dot) in addition to the location and direction of the camera just beside. 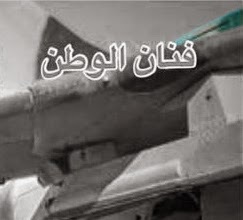 I will not say that I did not take it seriously -just awaited a solid evidence- when I first read it reported on an observer group FB page that a Syrian Air Force aircraft code numbered 655 operates from Hama AFB was shot down on 30th June 2014 !! 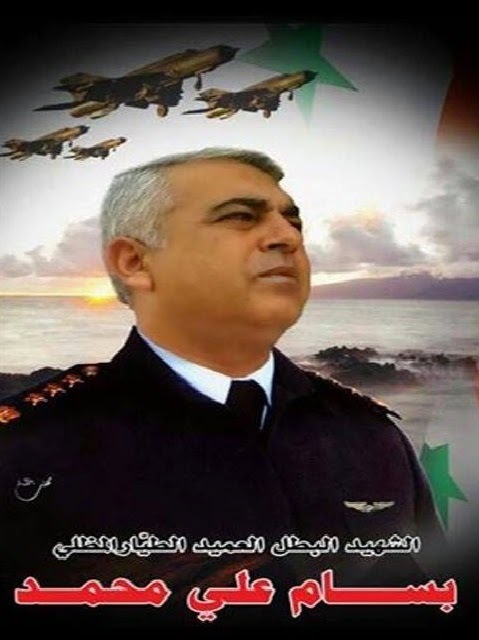 Just a month ago, it was confirmed at a pro-Syrian regime FB page the kill of a SyAAF pilot Brig.General Bassam Ali Muhammad during his attack sortie against ground targets in the county of Hama governorate while he was flying his MiG-21, but both sides did not confirm whether it was brought down by an AA gun or a MANPAD. 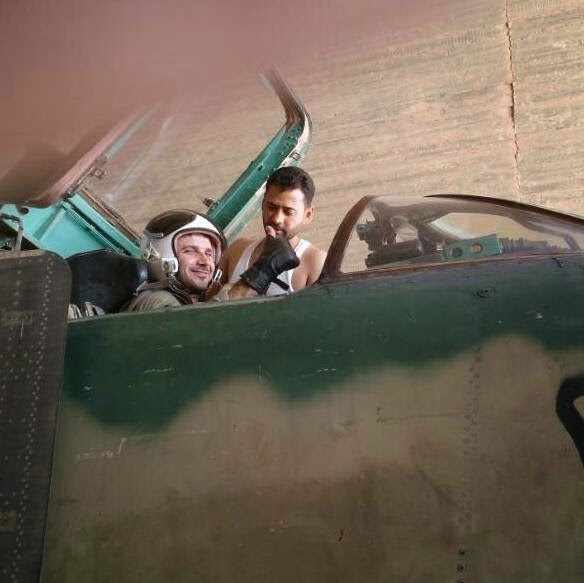 The aircraft crashed 10km to the east of Hama AFB as reported by insurgents/rebels observers. 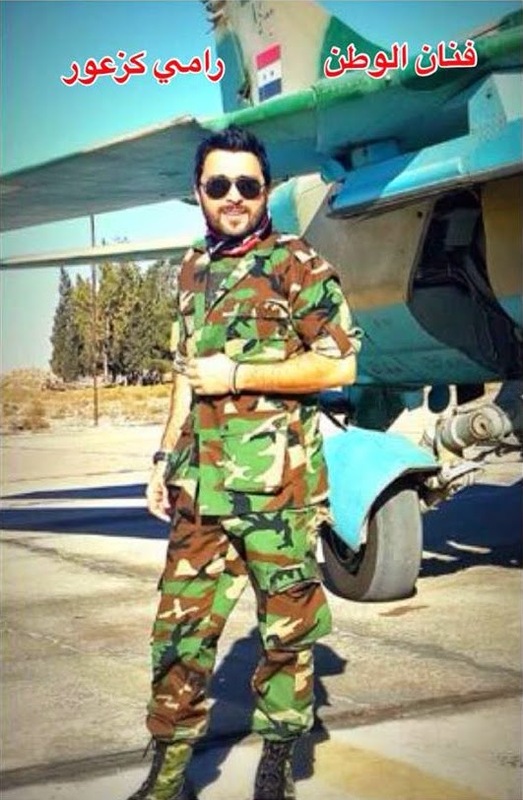 While the conflict is going on in Syria, a Syrian singer's -Rami Kaz'our رامي كزعور- Facebook page has revealed his photo in front of a MiG-23 in unidentified airbase. 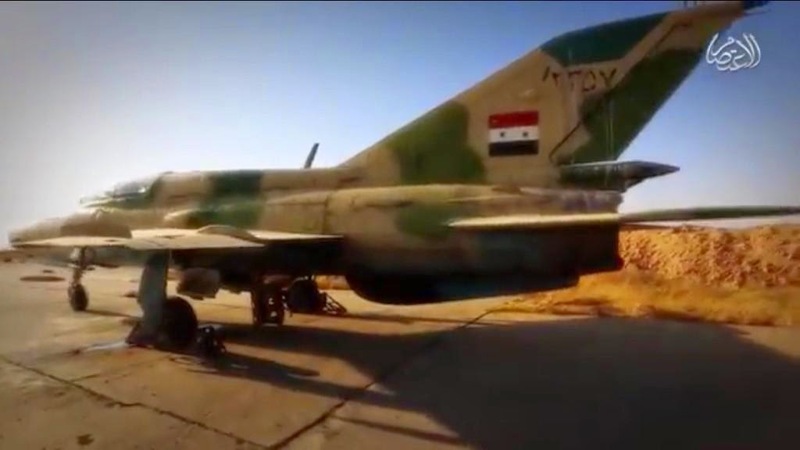 This is not any MiG-23, it's the most advanced and latest to join the SyAAF, the MLD!!! The serial is hardly reads x400 and could be 1400. 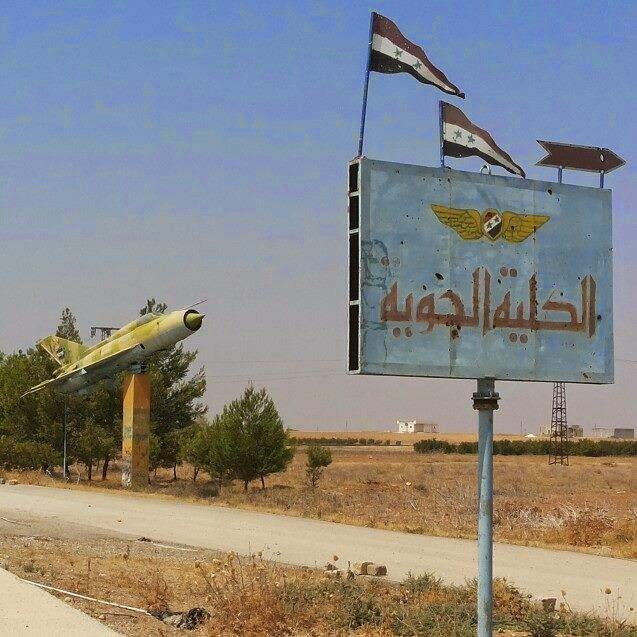 Before the conflict, the MLD's were partially distributed in not a single AFB, as some were deployed at Sh'eirat, Khelkhleh, Dmeyr and Seen. I left the Chaff/Flares dispenser colored here above, to enable our audiences understand the 'landmark' which enabled me identify this Flogger. 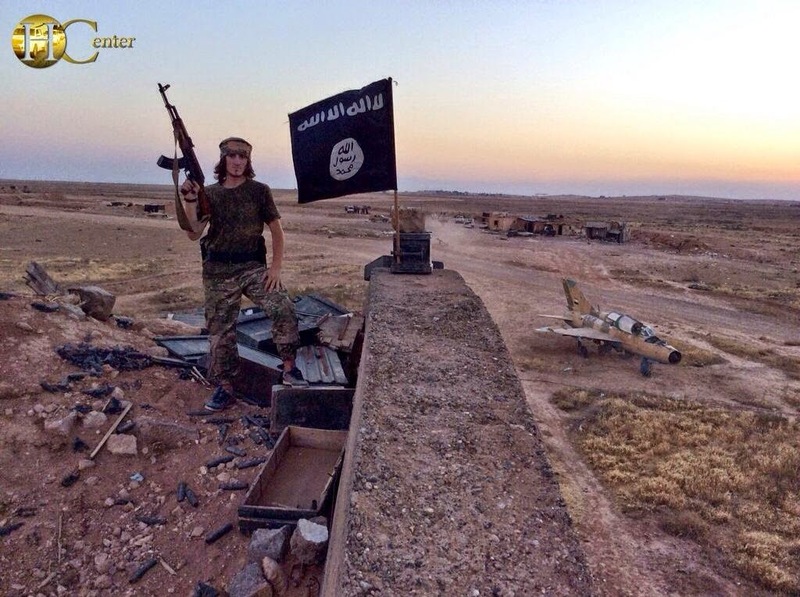 This is the closest shot I could find over web for an MLD taken at similar angle but little further back, in which we can see the location of the Chaff/Flares dispensers comparing to the AA missile pylon mounted below. 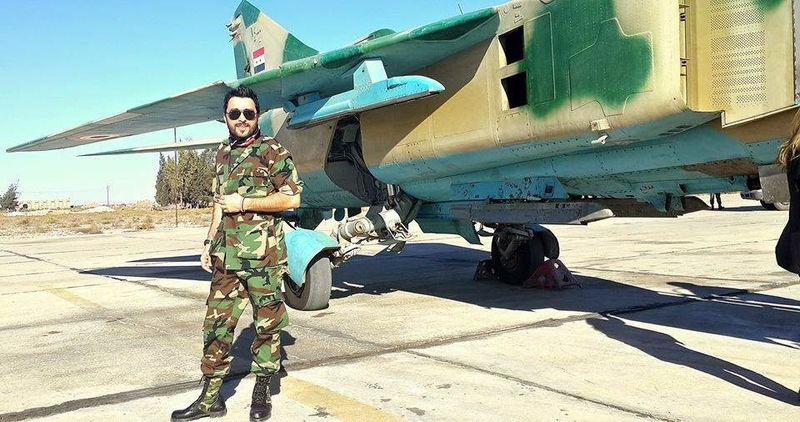 The newly revealed photo confirms that the ex-Belarusian Floggers were not left in their original camo or even repainted as the MiG-23ML's those were overhauled in Russia sometime between 2008 and 2010 -3 Colors Camo-, instead, they received the 'Typical' Syrian colors as shown in the above crop, as applied on any MiG-21, MiG-23 and even Su-22M those entered the overhaul facility at Neyrab airbase which is known as the 'Factory'. 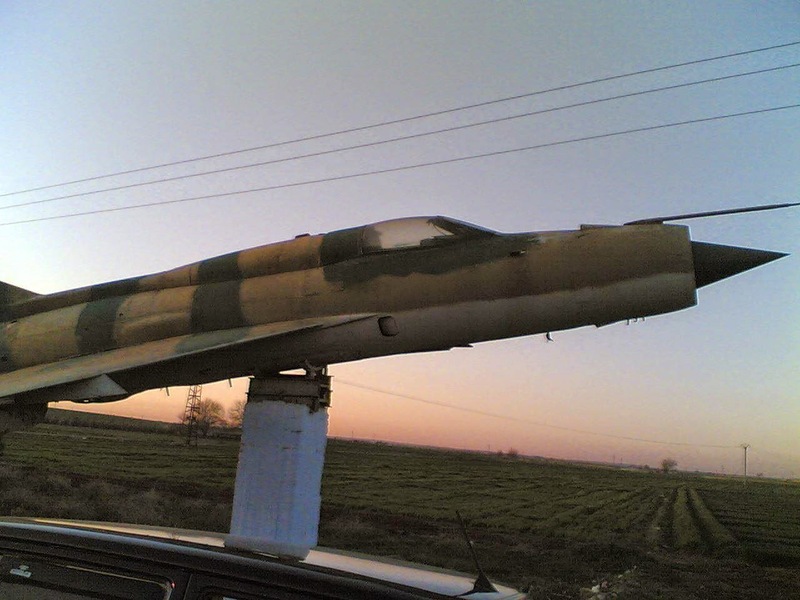 More and more for-the-first-time-to-be-seen photos of Syrian MiG-21 are collected and posted hereunder...Enjoy! True! 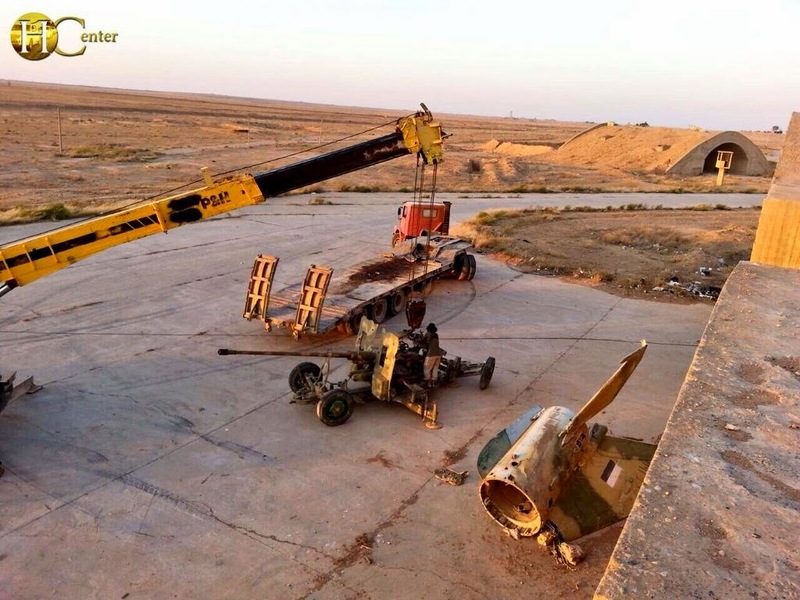 on 18th August 2014 a Syrian MiG-23 was either crashed (according to regime reports) or shot down (as per reports of rebels). 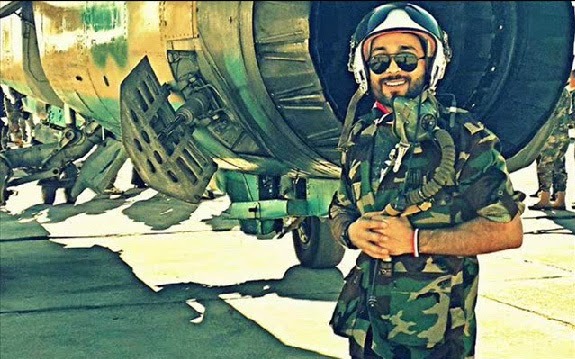 The aircraft which was code-numbered 617 and based in Hama AFB, was actually an MF variant and piloted by Major Aref Amin Bsesini (born in 1984) "عارف أمين بسيسيني" who was KIA due to a failure in ejection. 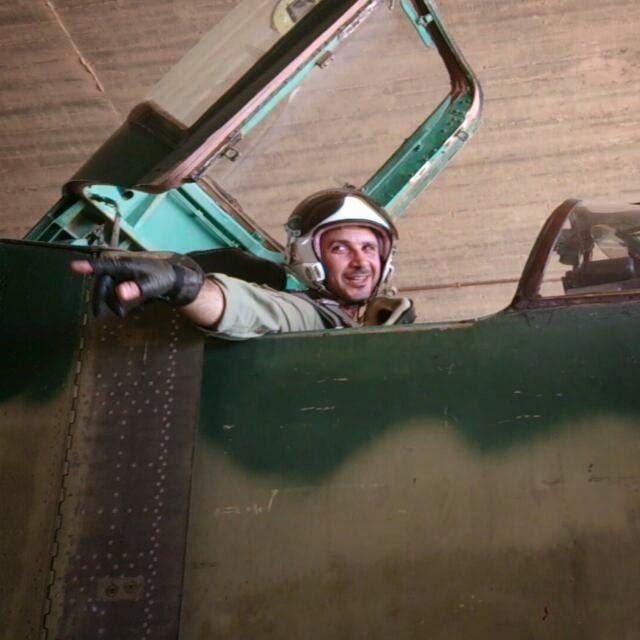 The MiG-23MF crashed as reported not far at the north of Hama airbase. 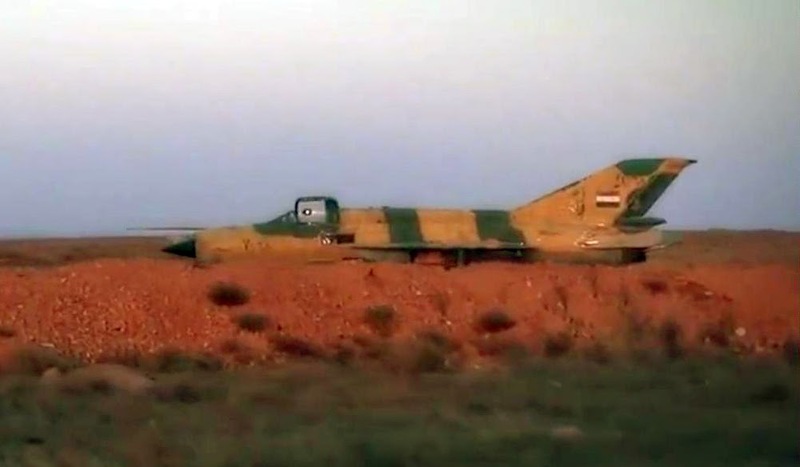 Typically, and as seen in most of videos for this variant while carrying out raids in the area of Idleb and Hama, it was either releasing FAB bombs, or launching unguided rockets on ground targets. Below is the list of spotted 'Aircraft and Aerial Vehicles' over Syria during the month September 2014 which and for the first time witnessed the appearance of non-Syrian aircraft conducting air raids over Syria and specifically units of the U.S. led coalition fighting ISIS, such like the B-1 bomber and the F-16 in addition to the UCAV Predator which was first seen over Al-Raqqa then over Aleppo and recently over Idleb.